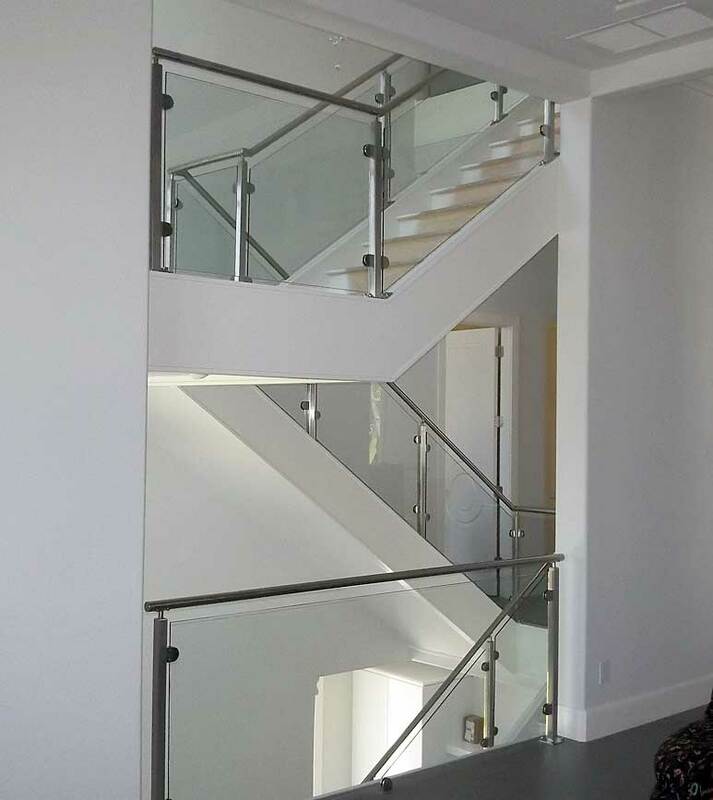 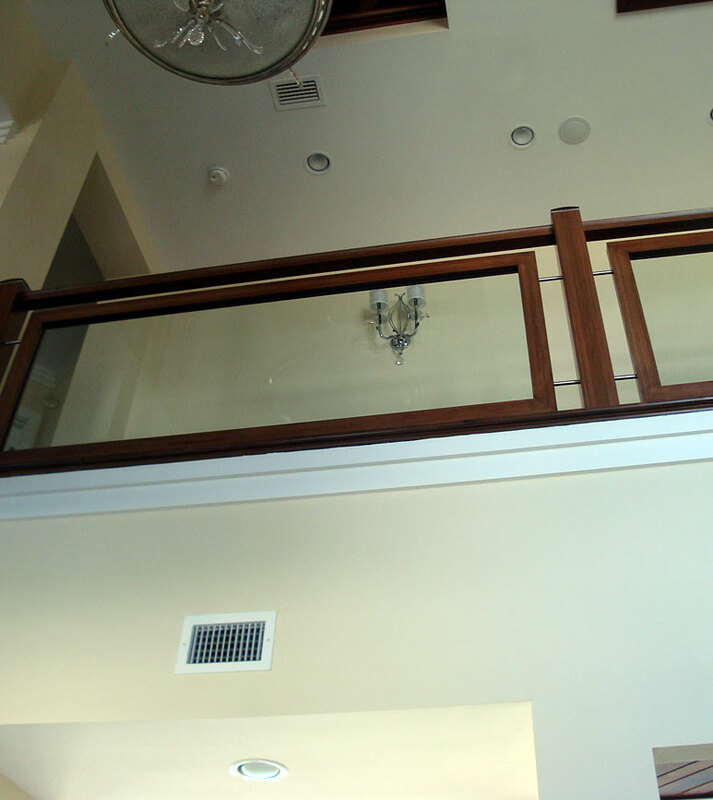 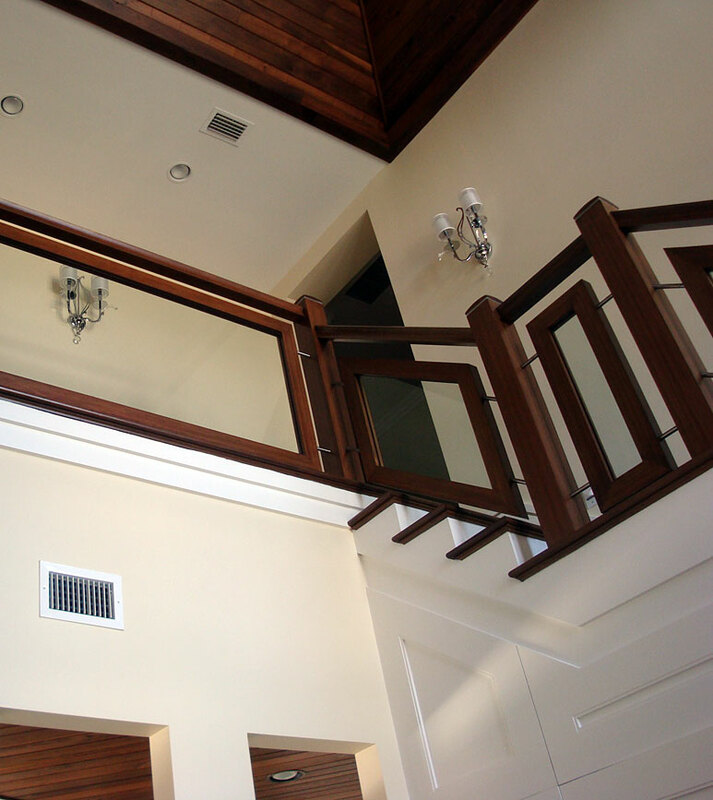 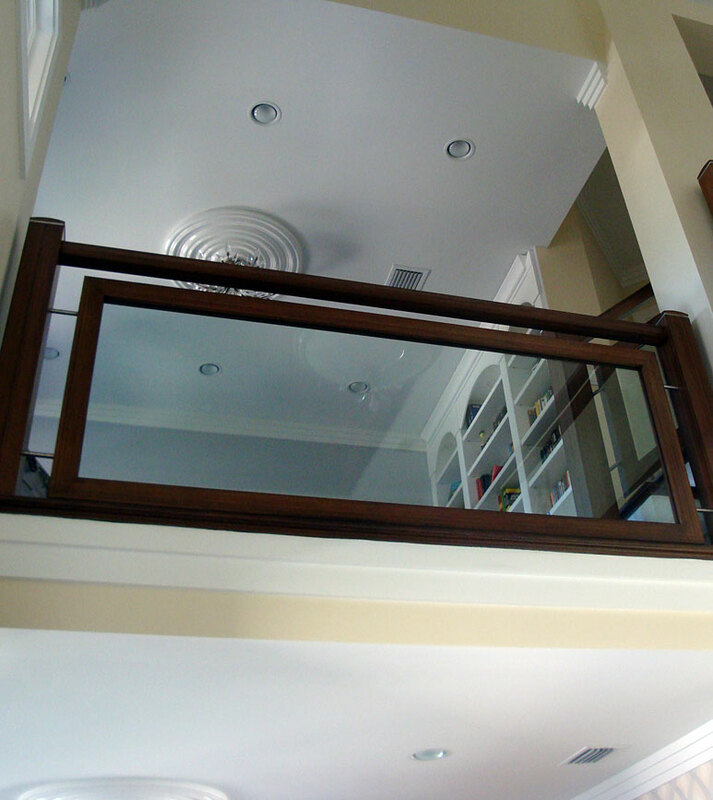 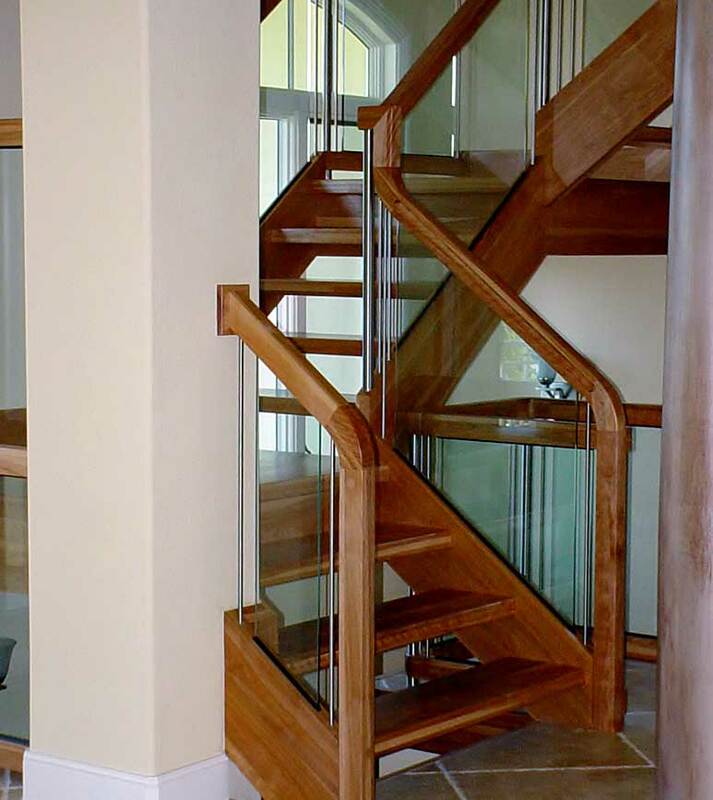 Our combination of wood and glass panel balustrades provide endless design possibilities to complement the interior style of any home. 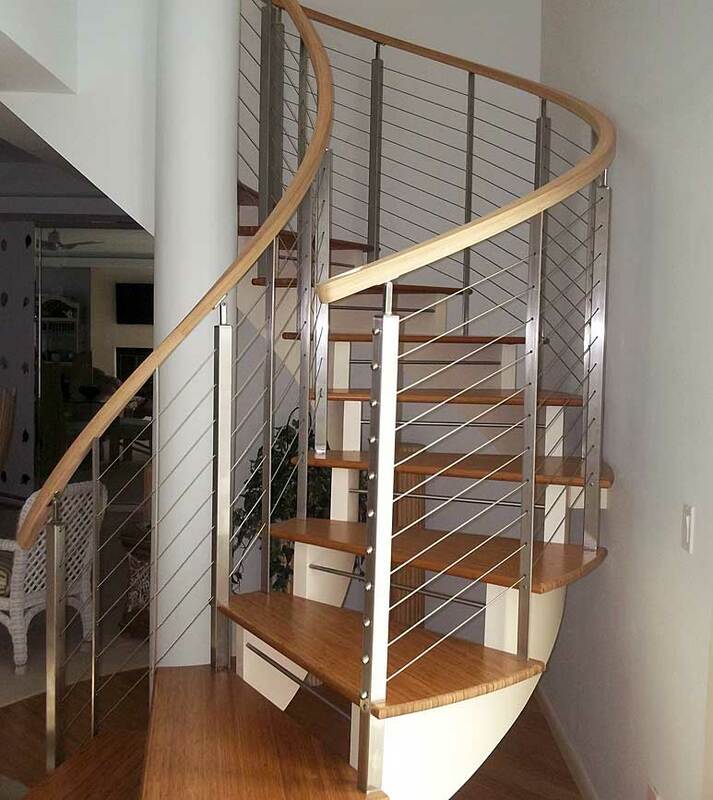 We utilize many different materials including domestic woods, imported tropical hardwoods, glass, stainless steel, and forged iron. 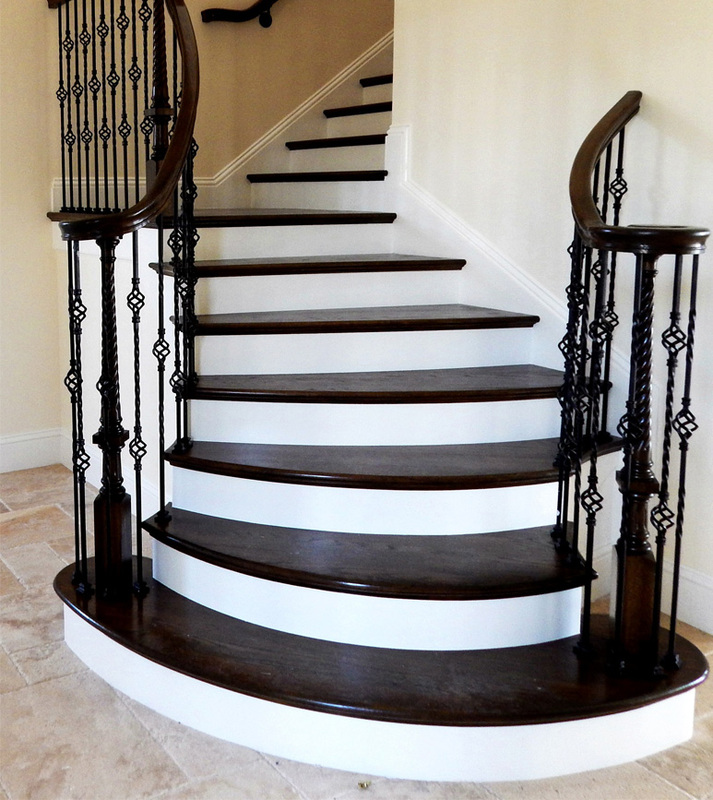 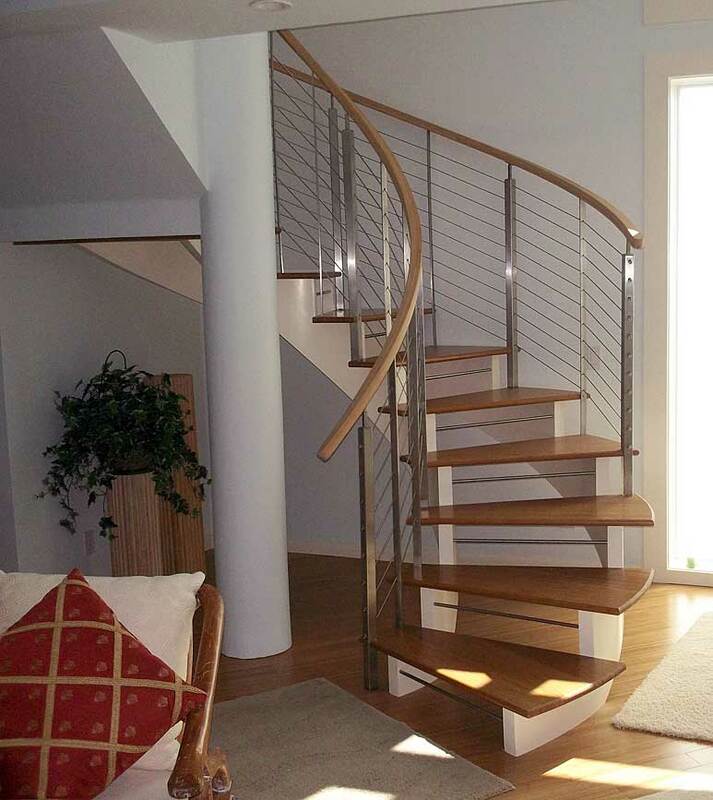 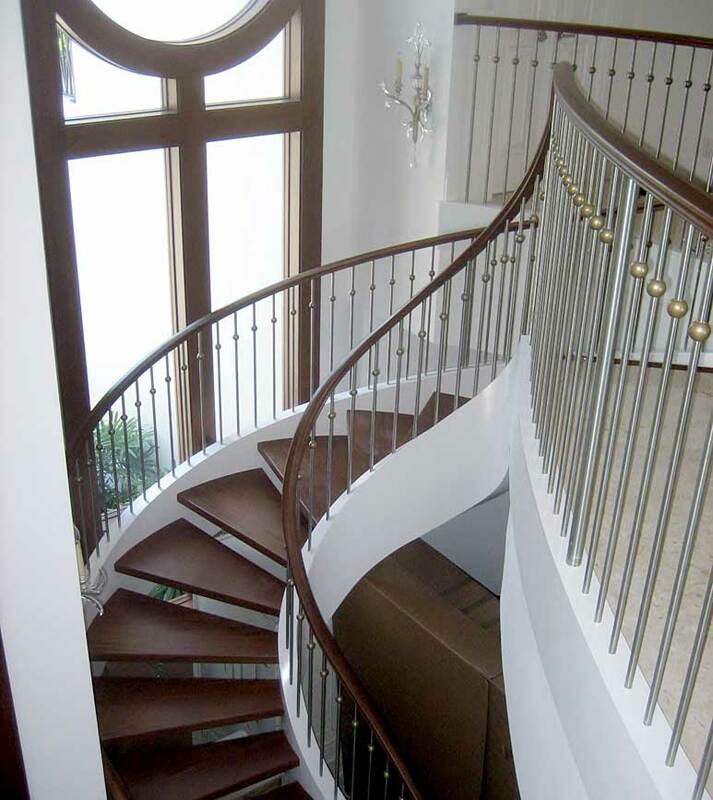 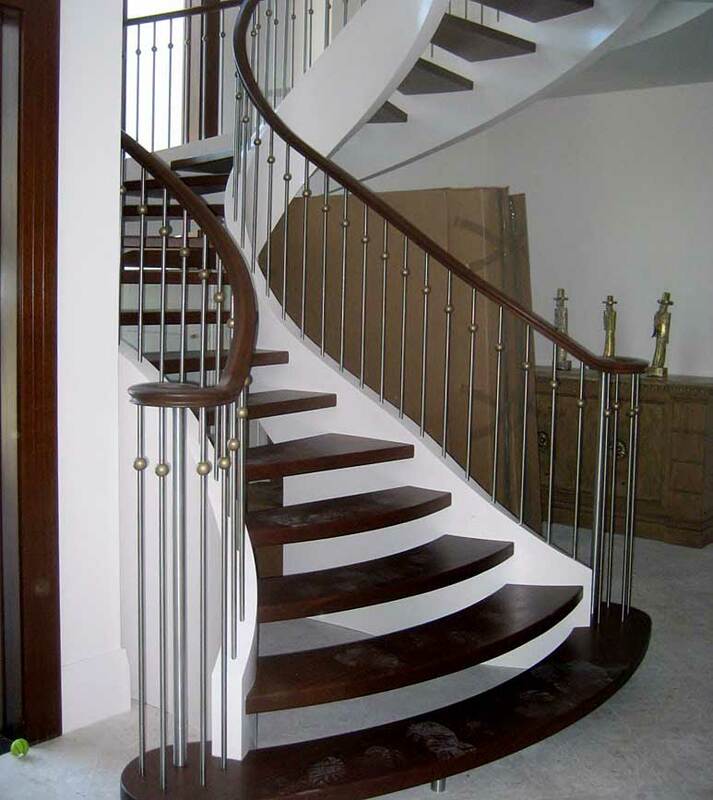 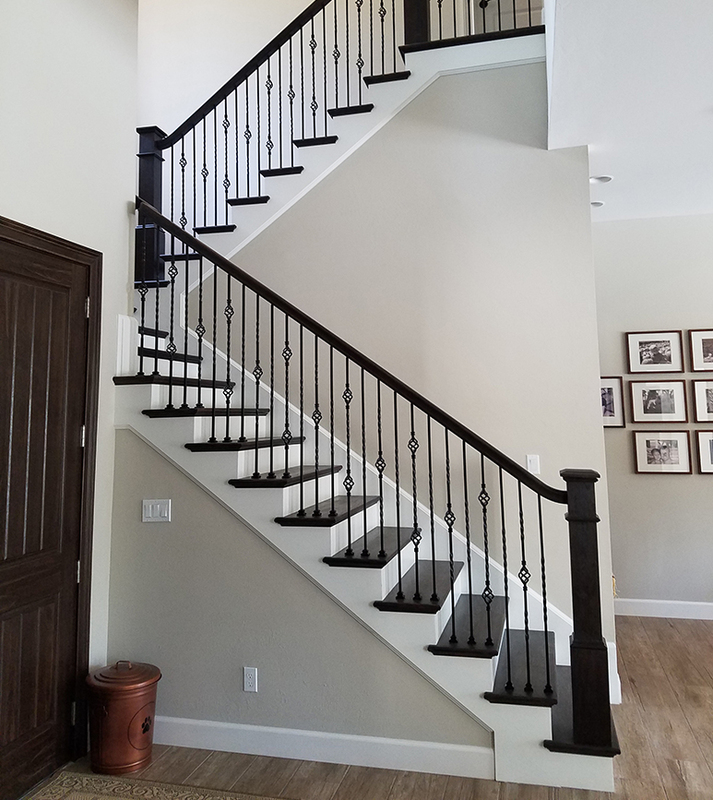 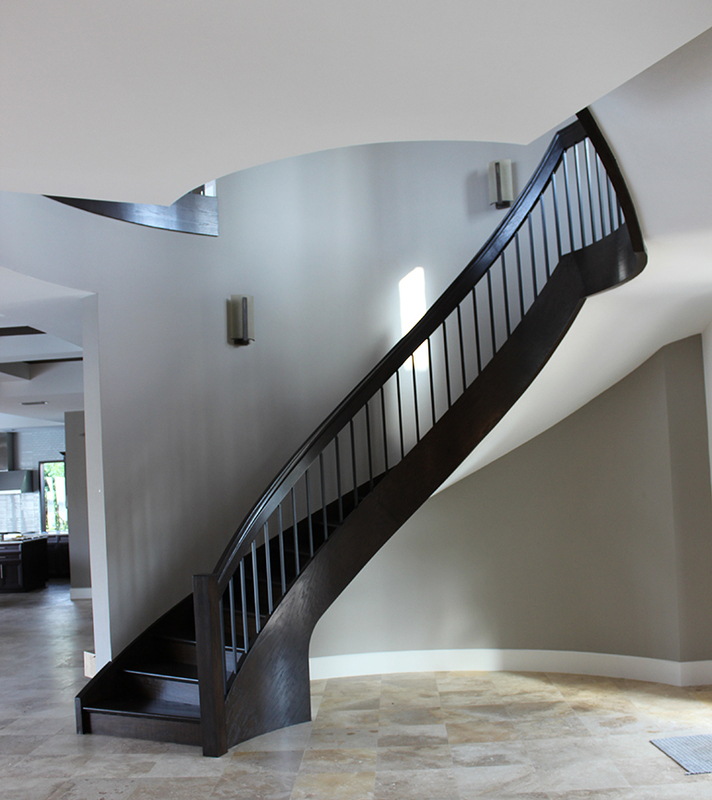 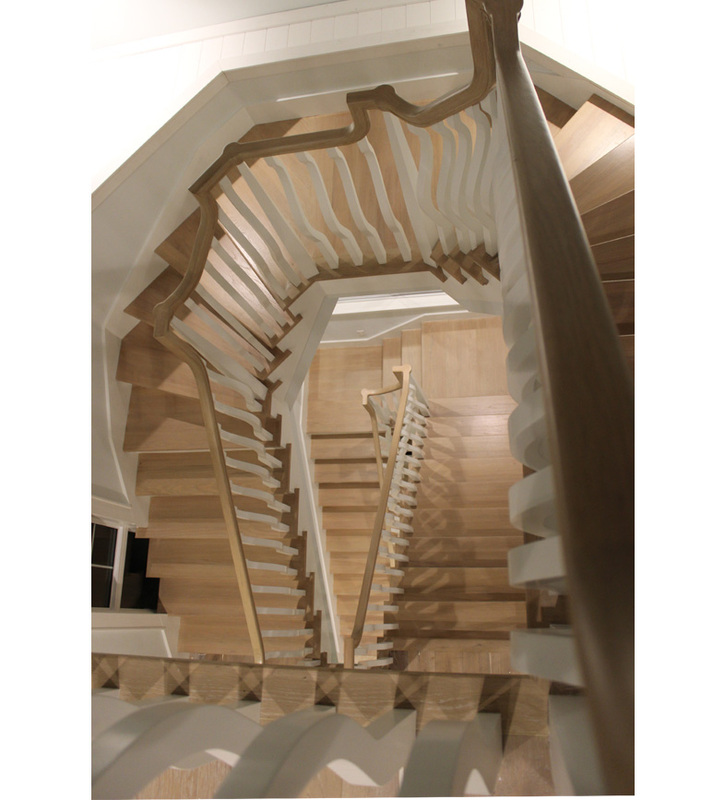 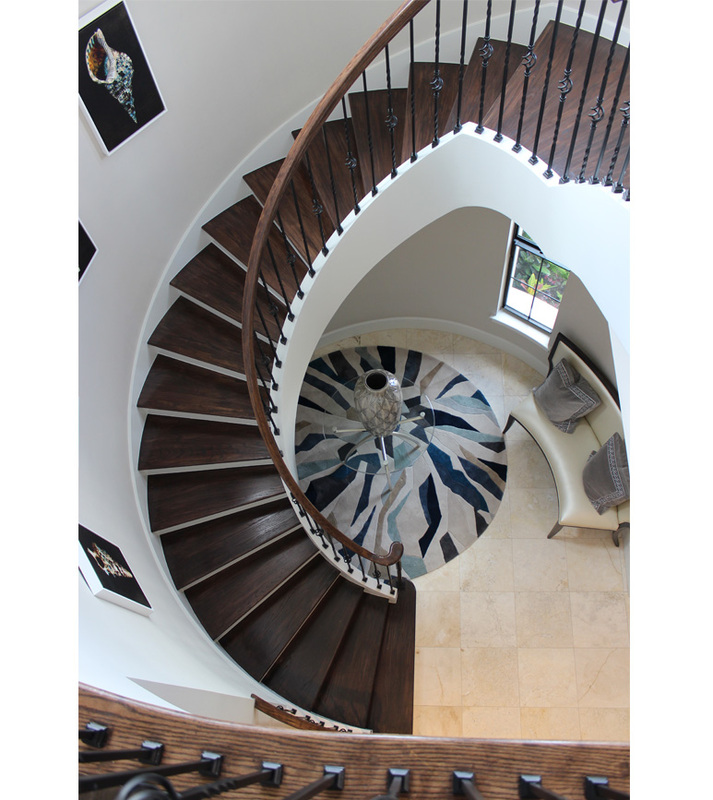 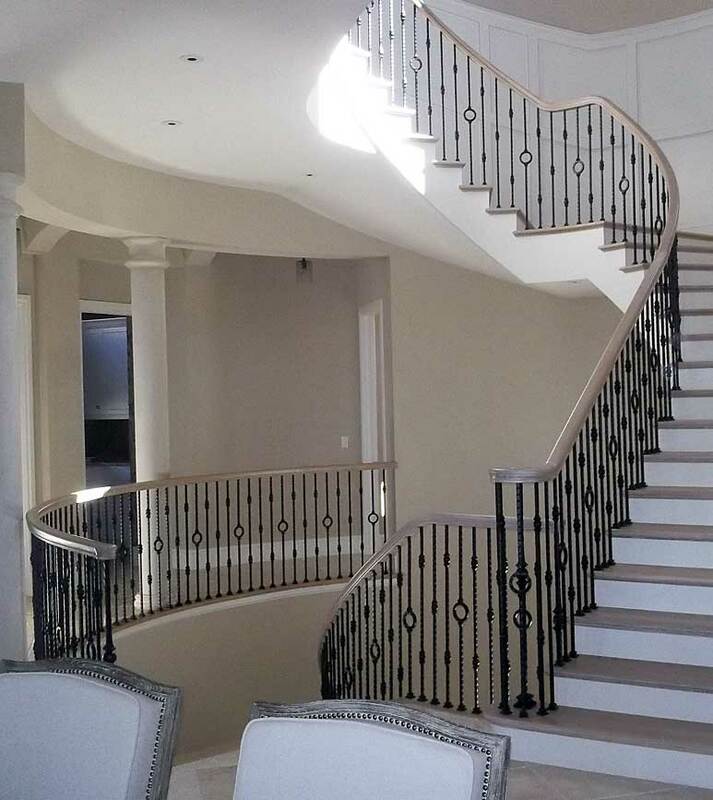 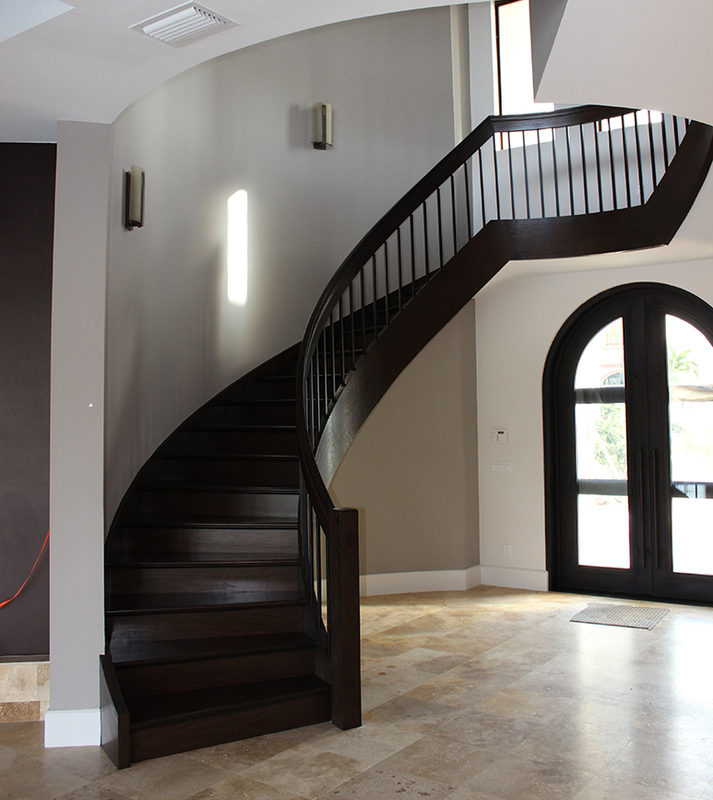 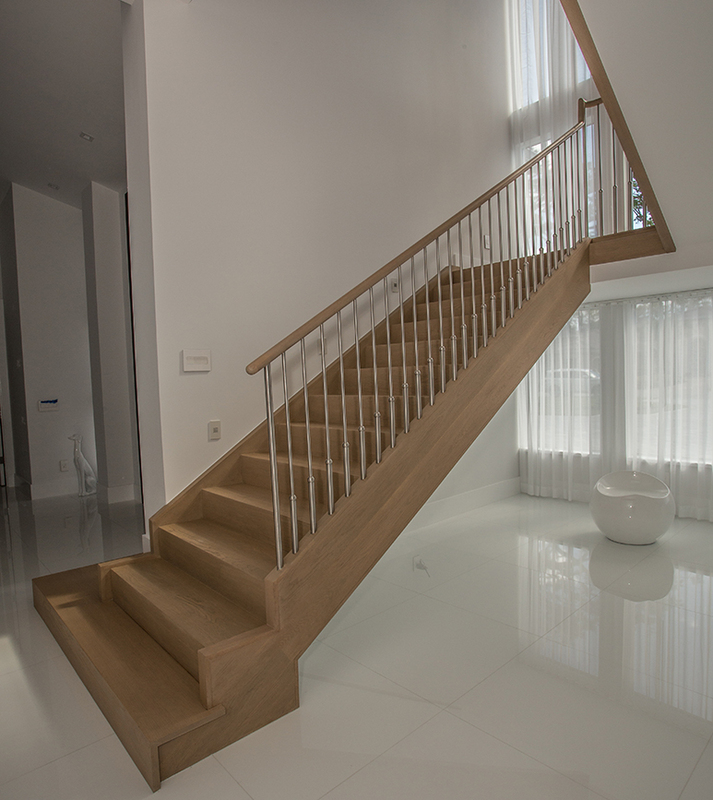 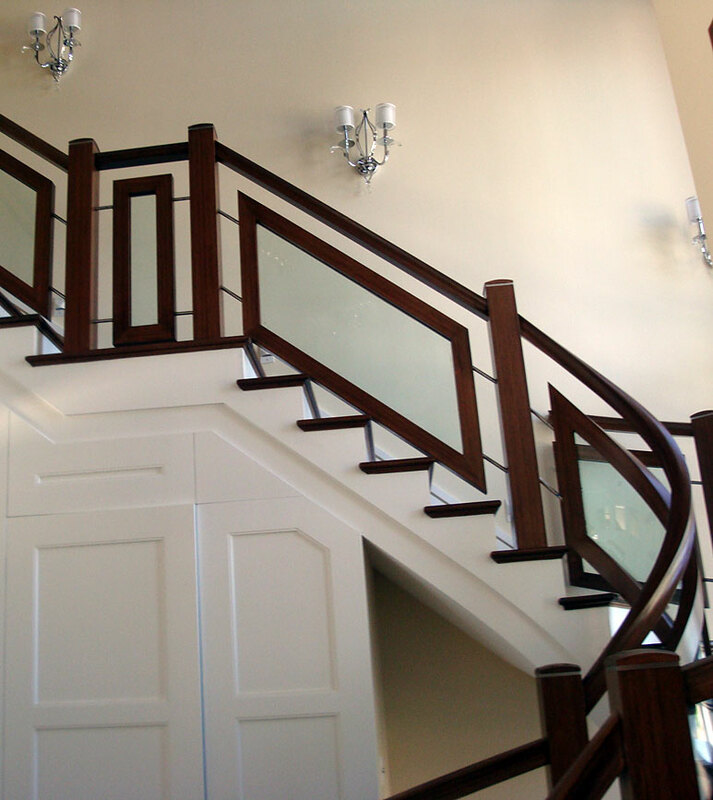 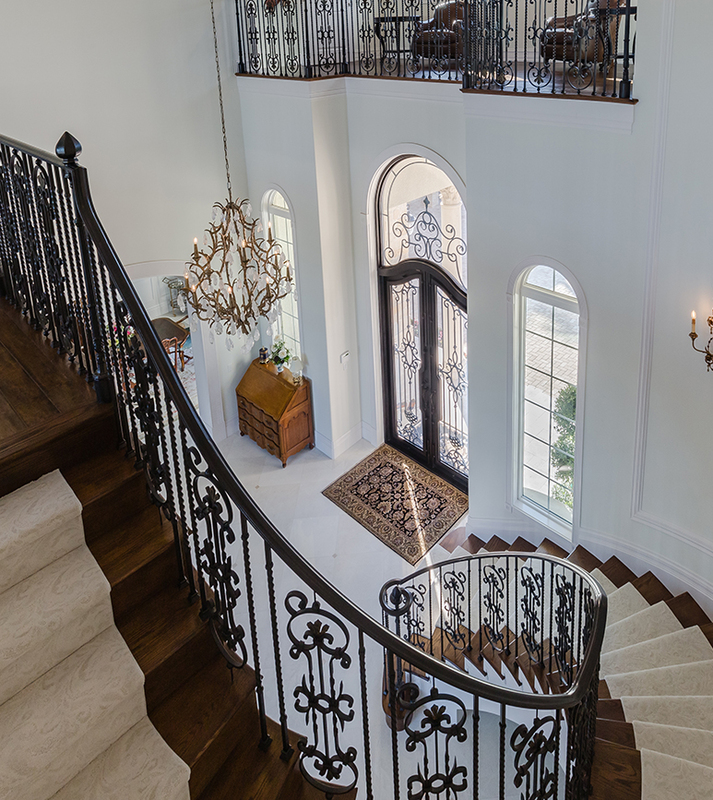 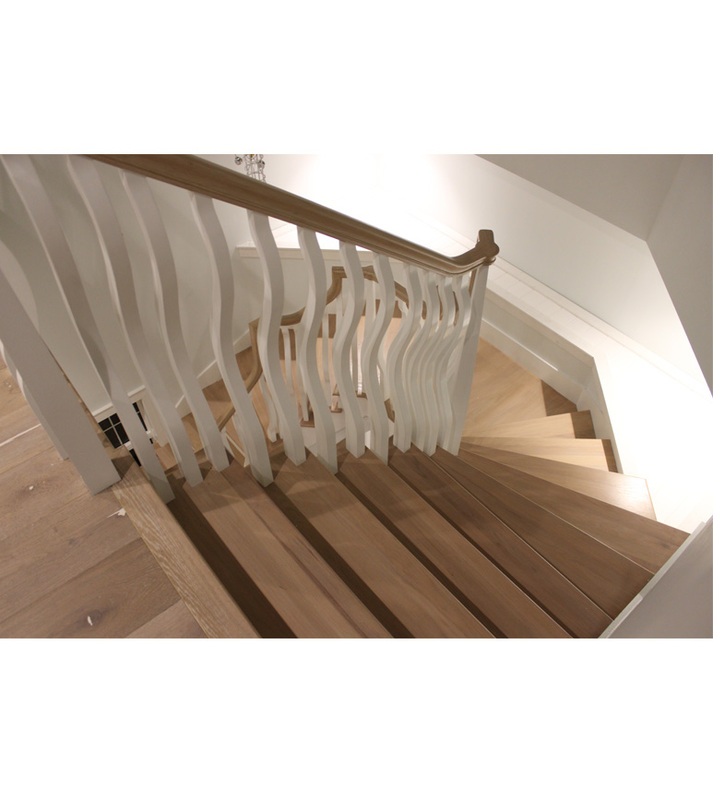 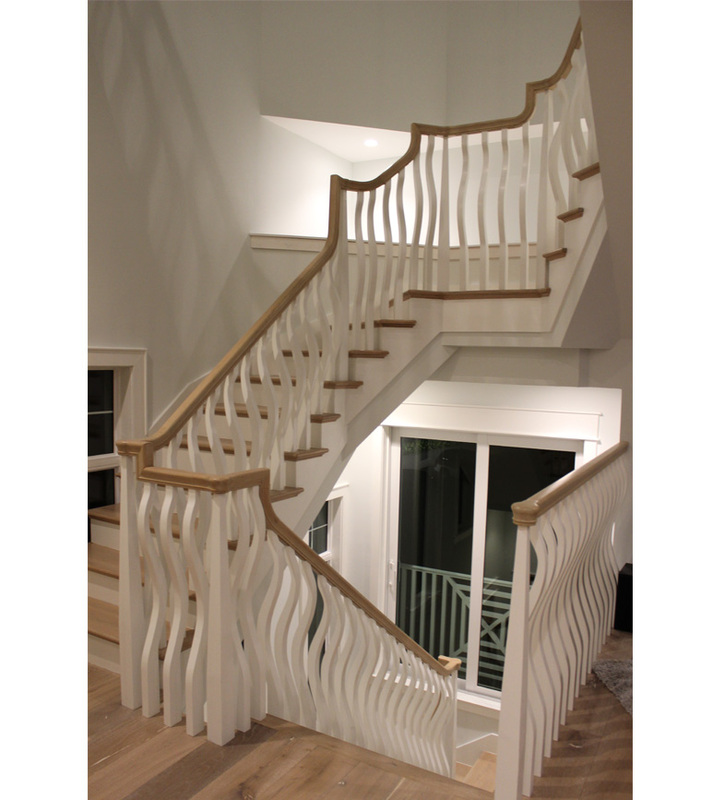 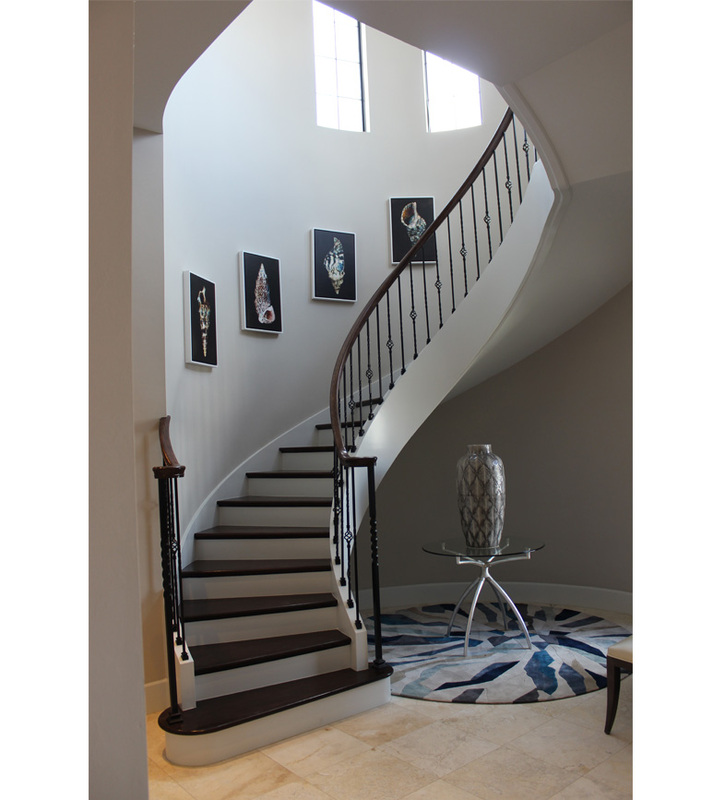 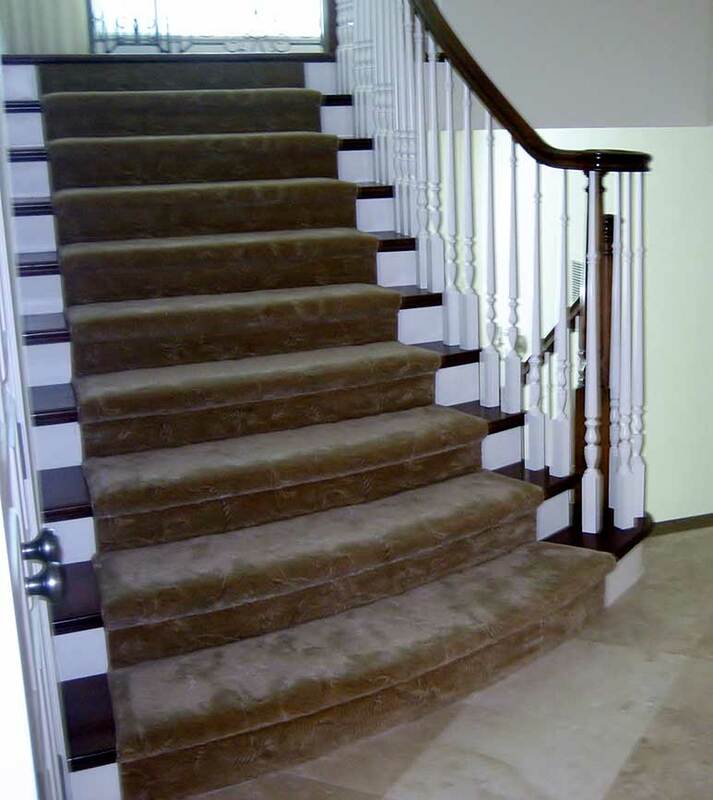 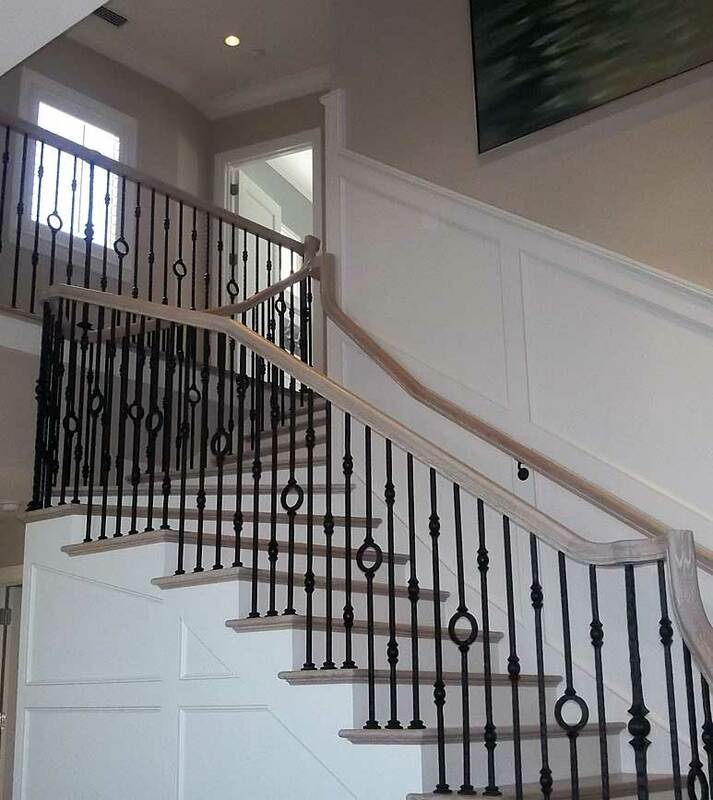 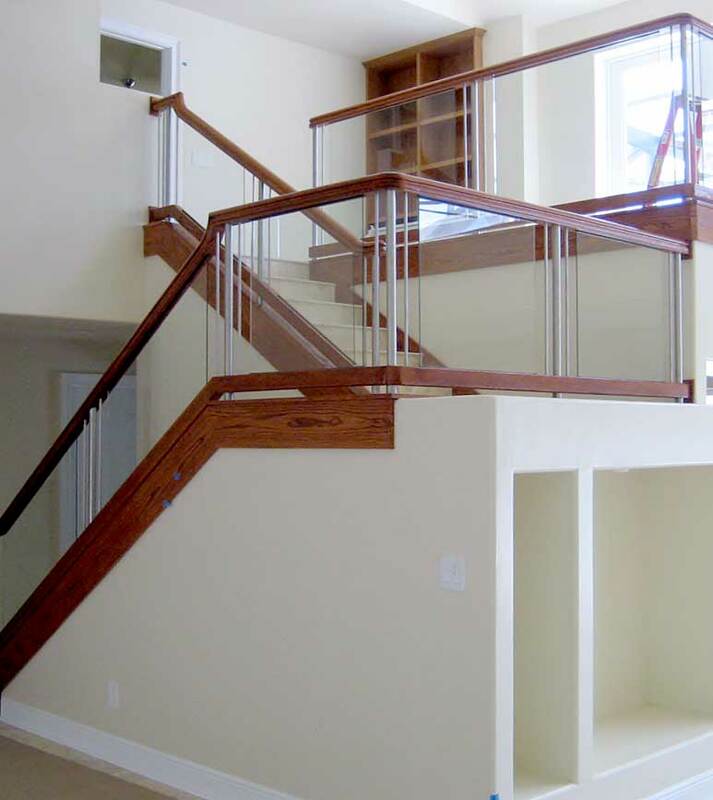 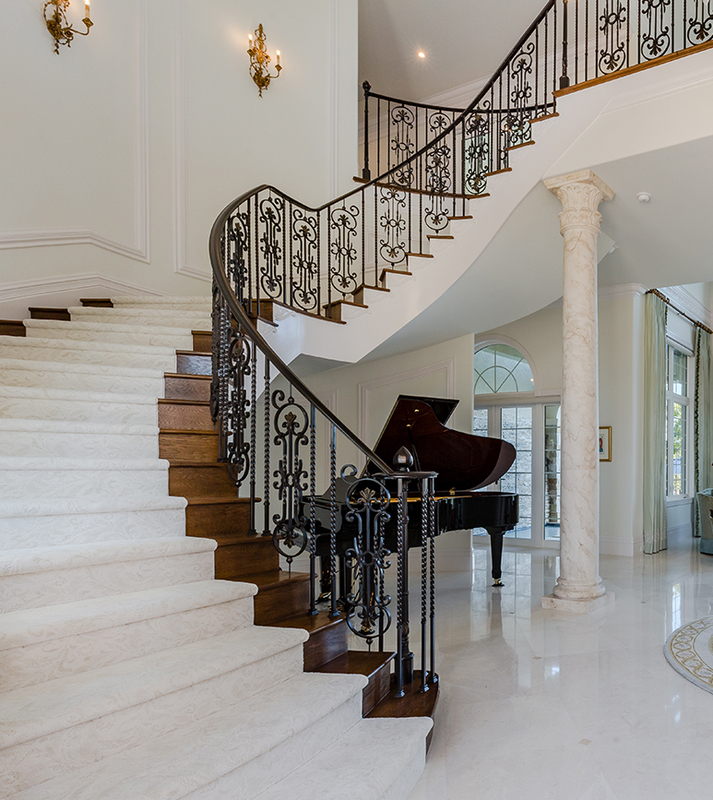 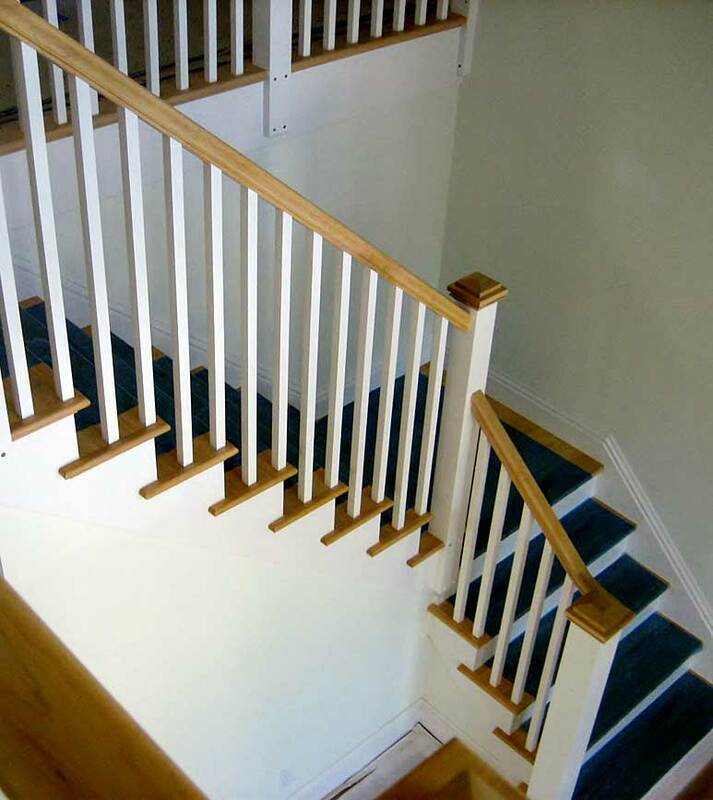 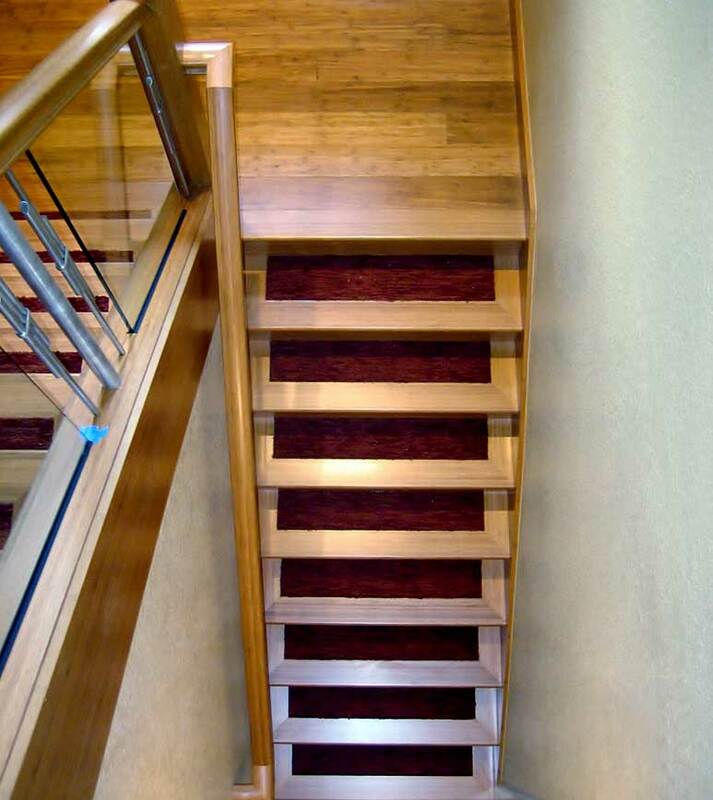 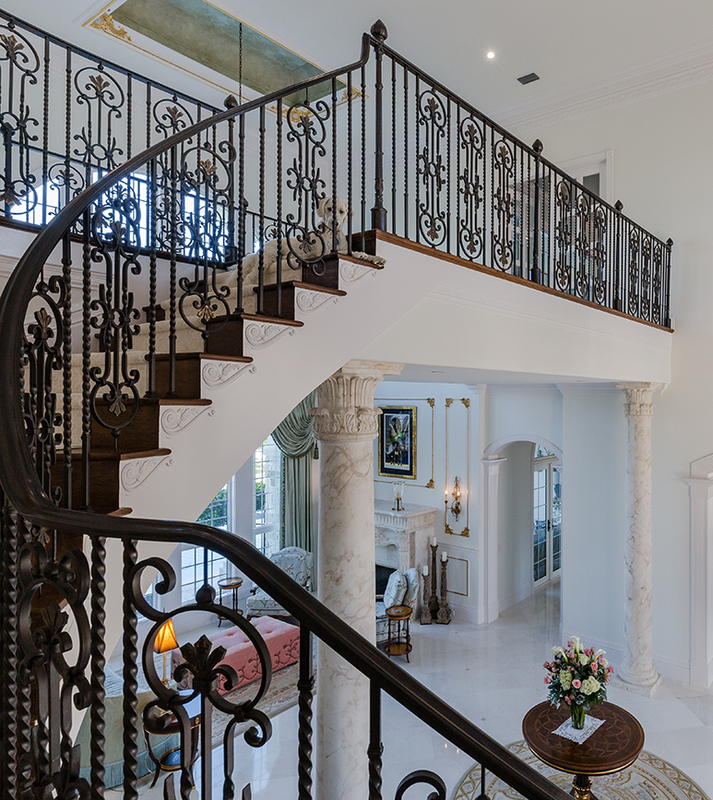 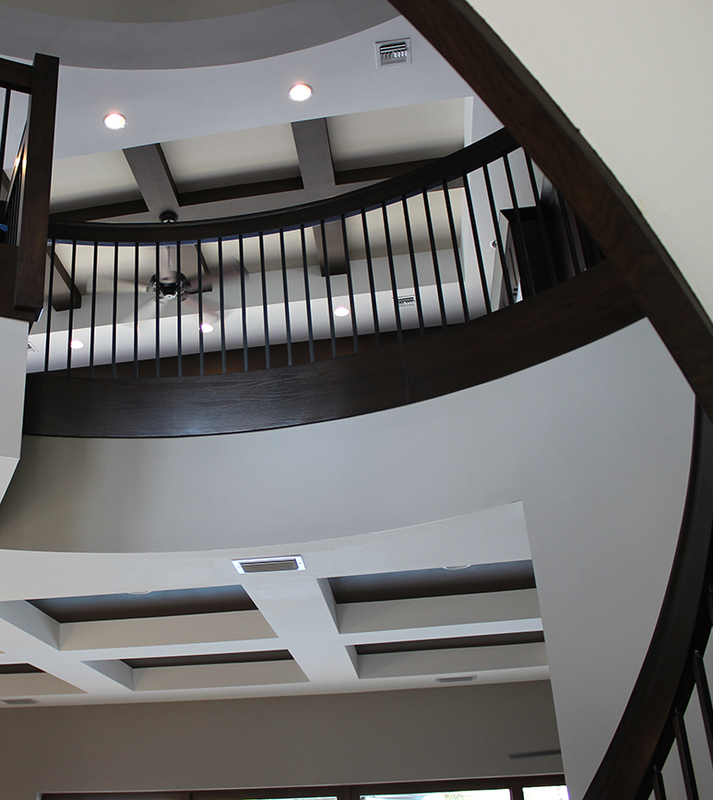 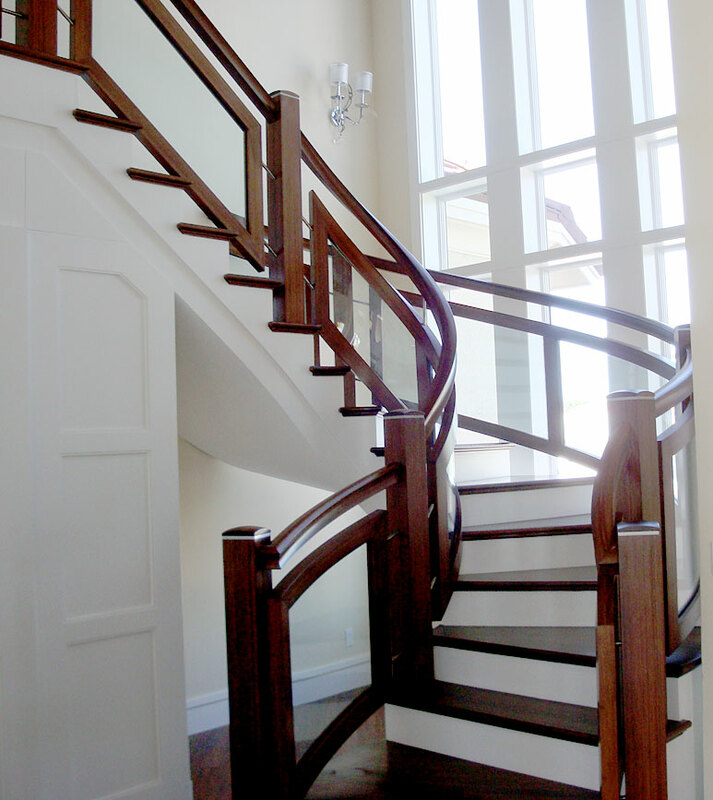 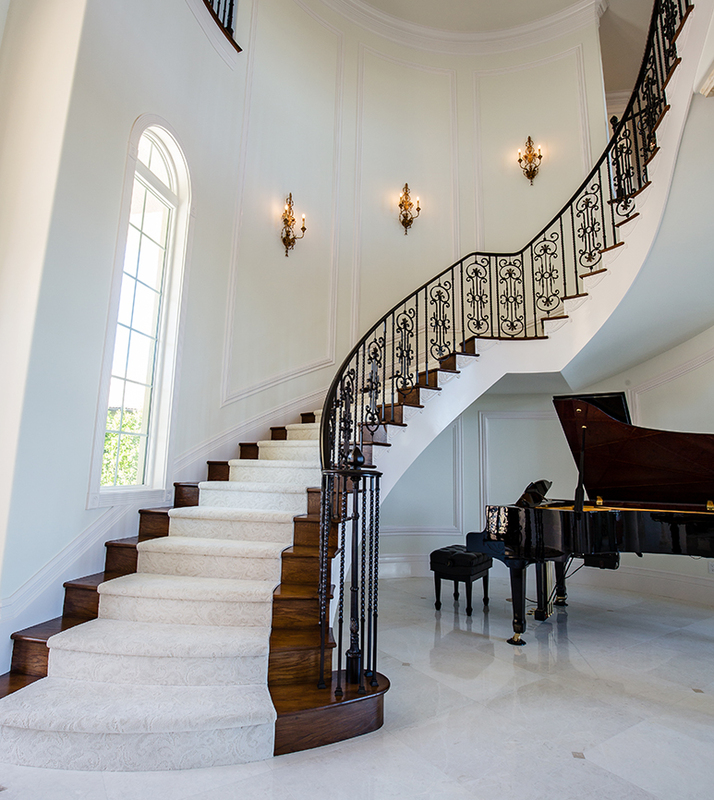 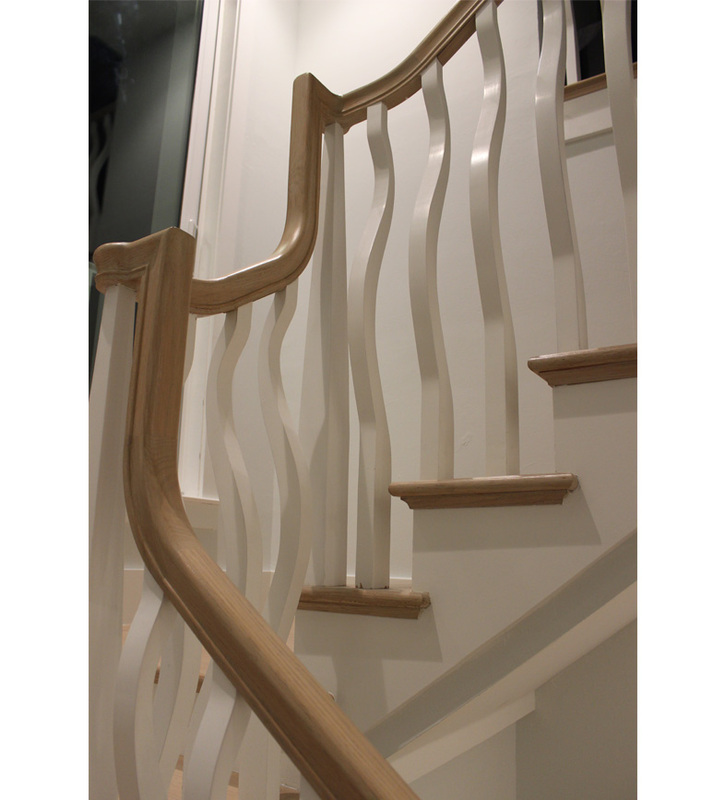 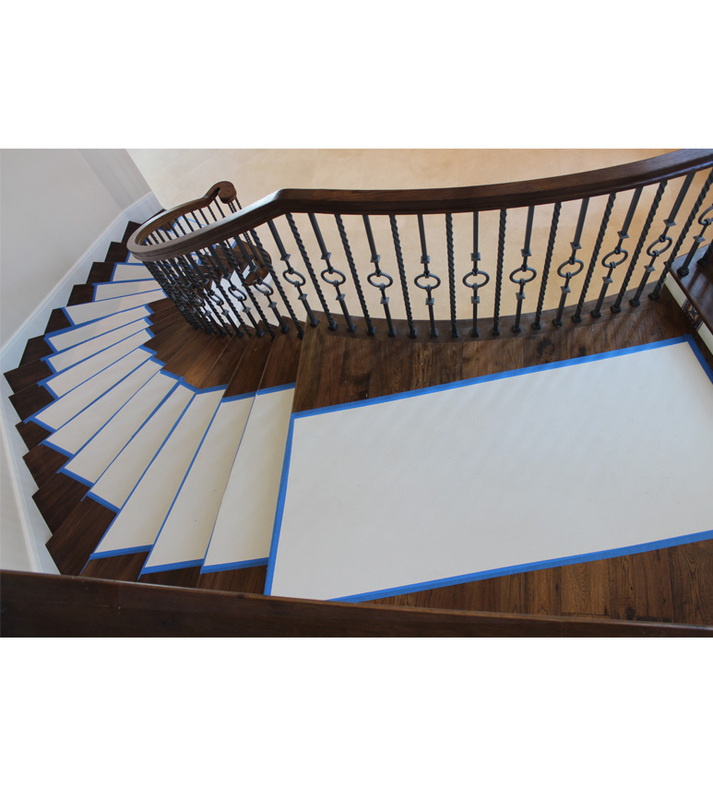 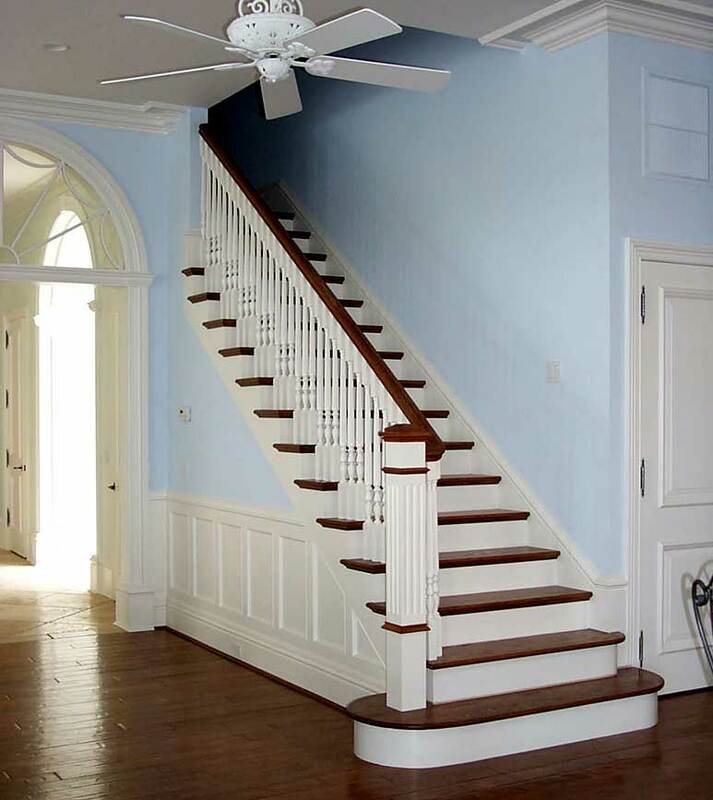 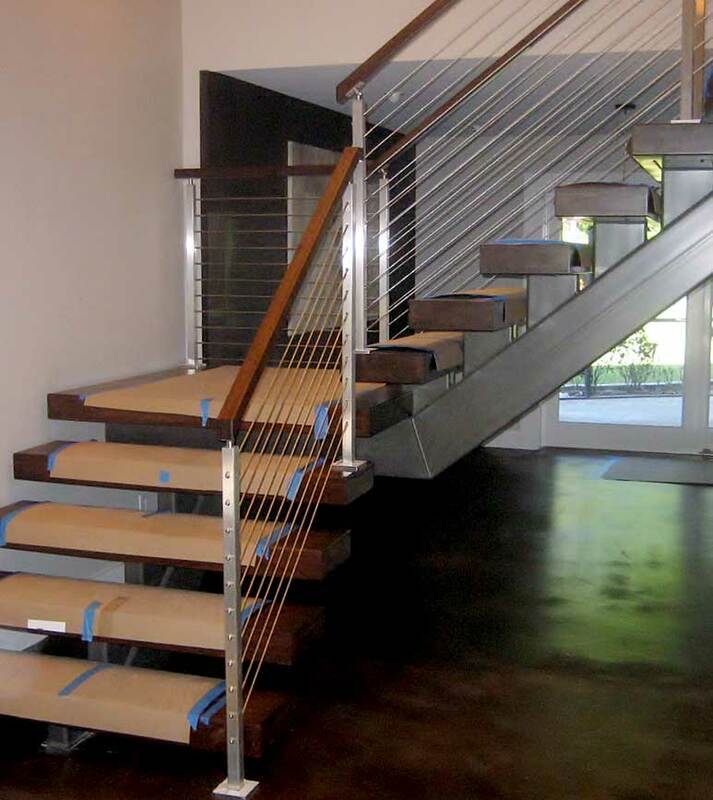 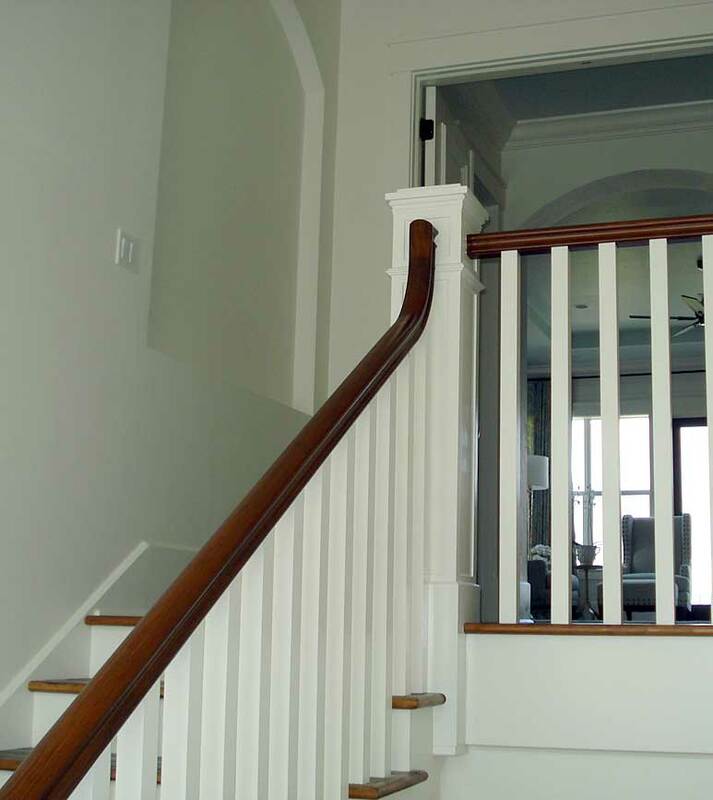 Our conventional staircases are an inexpensive way to add functional elegance to a home. 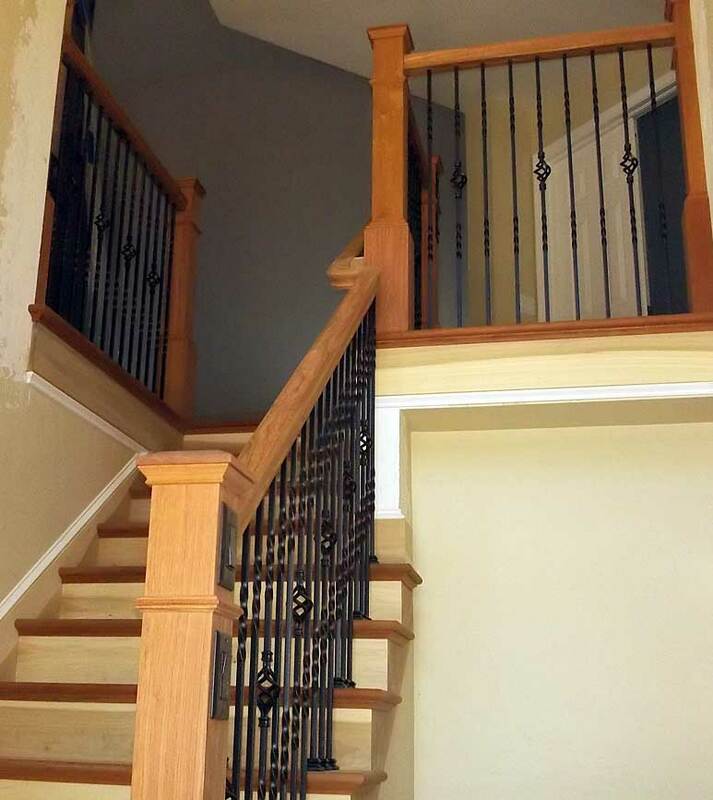 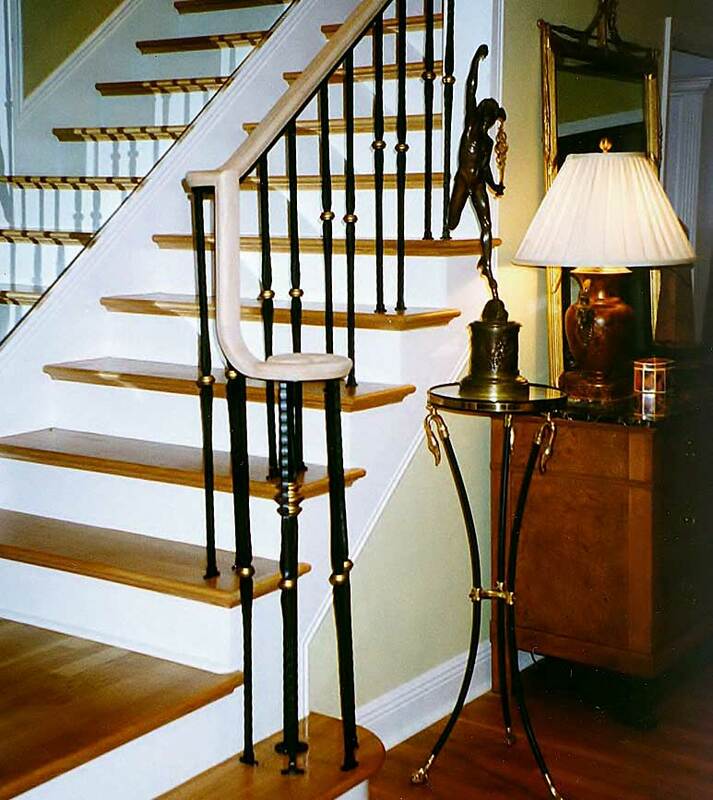 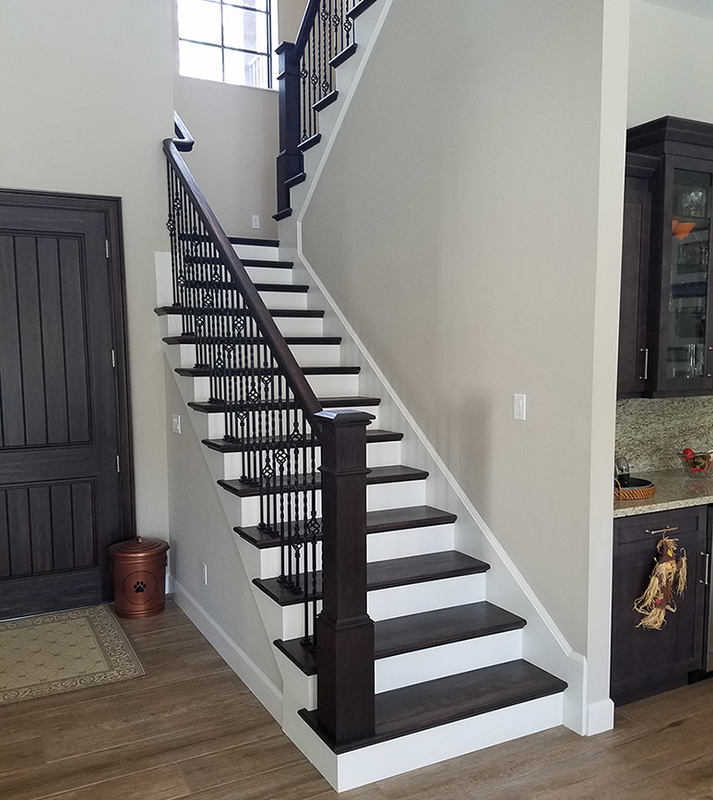 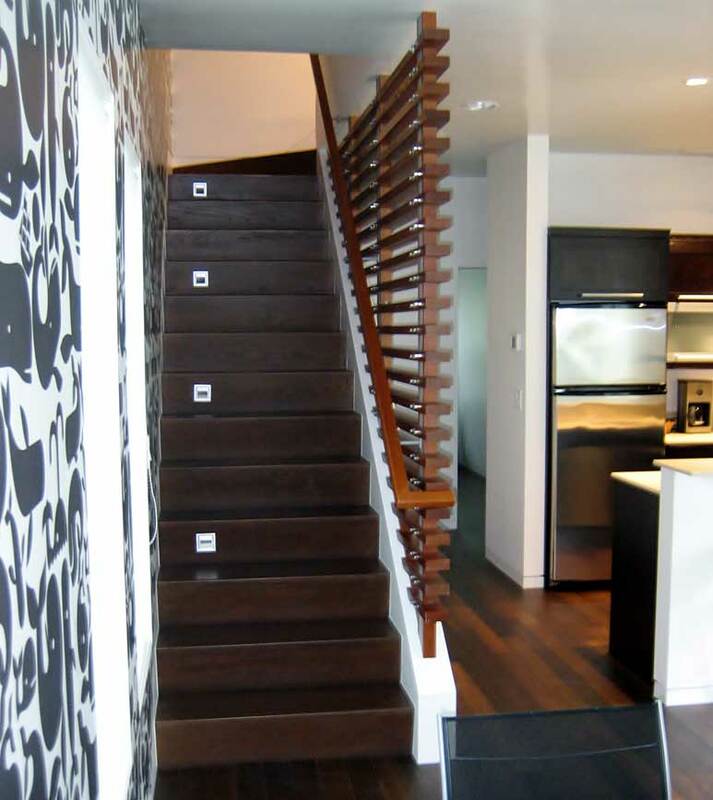 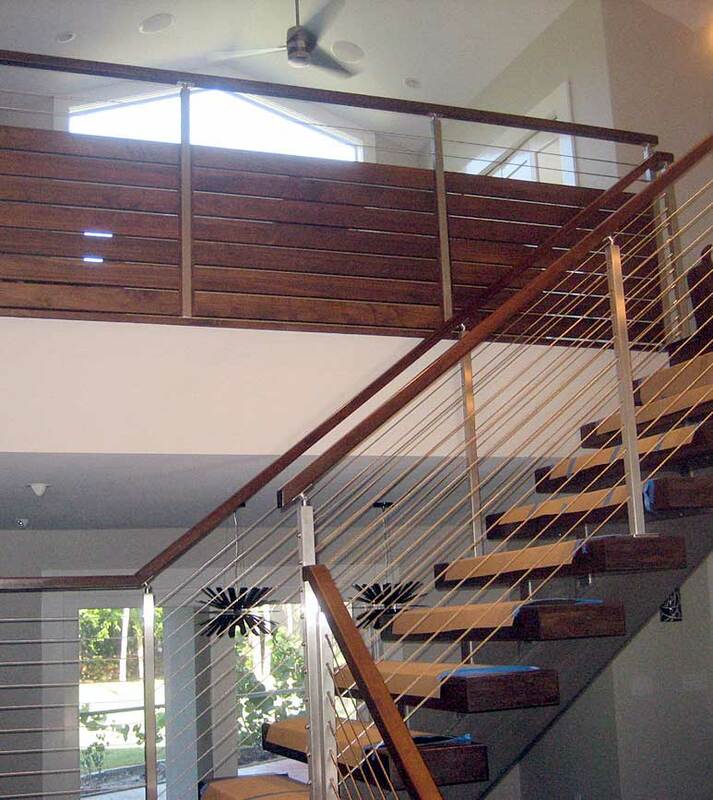 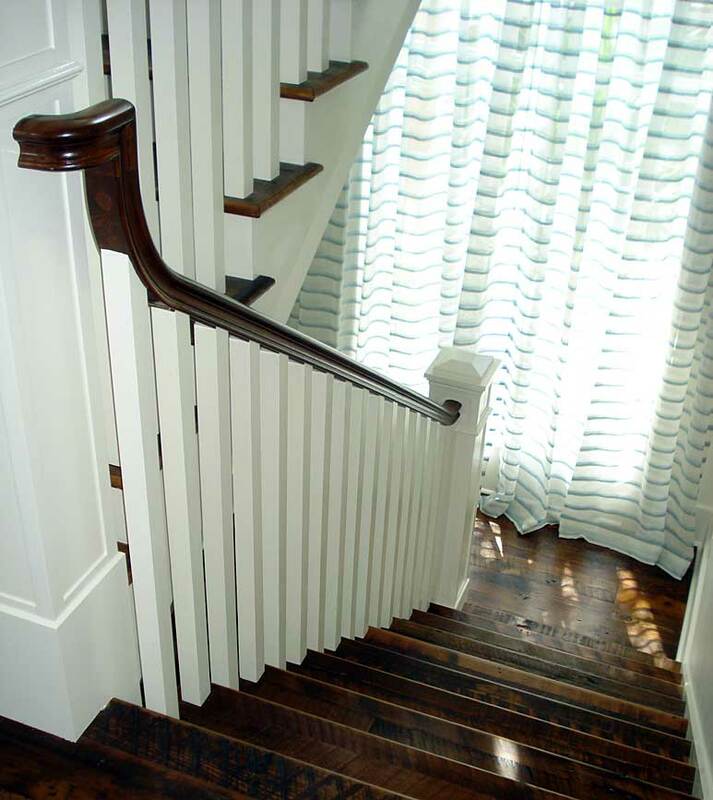 Red Oak or other hardwood treads and handrails add warmth and beauty for an inviting ambiance. 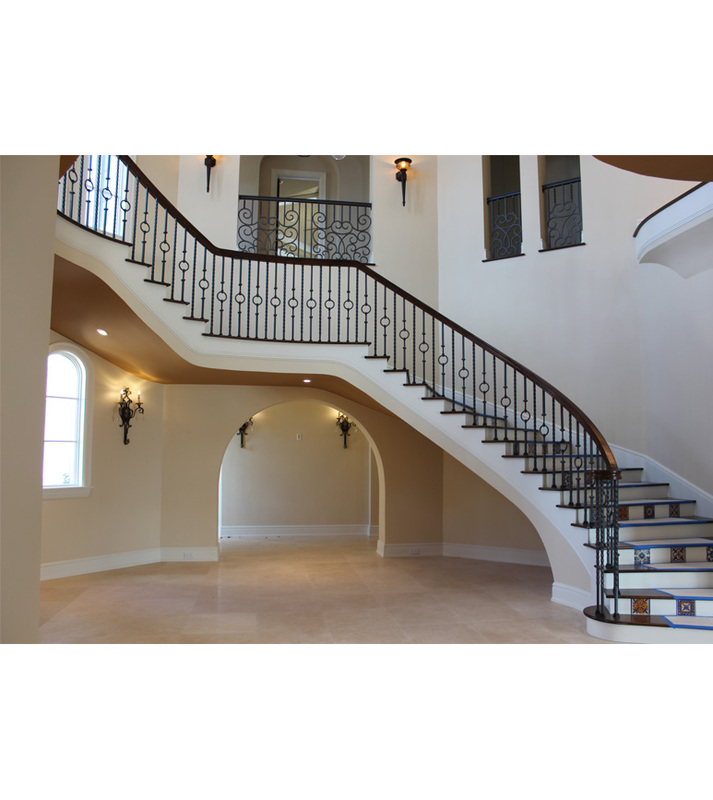 Serving Bonita Springs, Captiva, Fort Myers, Marco Island, Naples, Port Charlotte, Sanibel and other areas throughout SW Florida.